Well, it has finally arrived! The kids are back to school. I hope you mamas are finding a little time to relax. 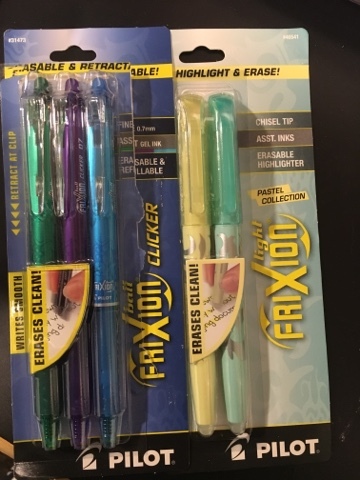 One of the items we absolutely love buying during Back to School is pens. But the whole family is VERY choosy about pens. 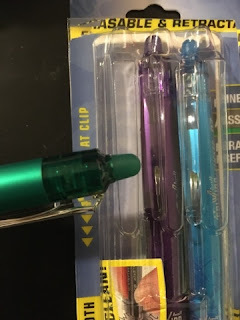 I hate having pens that quit half way through writing. I love writing and seeing nice, clean, smooth lines. Pilot Pens sent us some pens for review and we are loving them. They write so smoothly and neatly! And the best part is they are erasable! See that end? It is an eraser and it works! 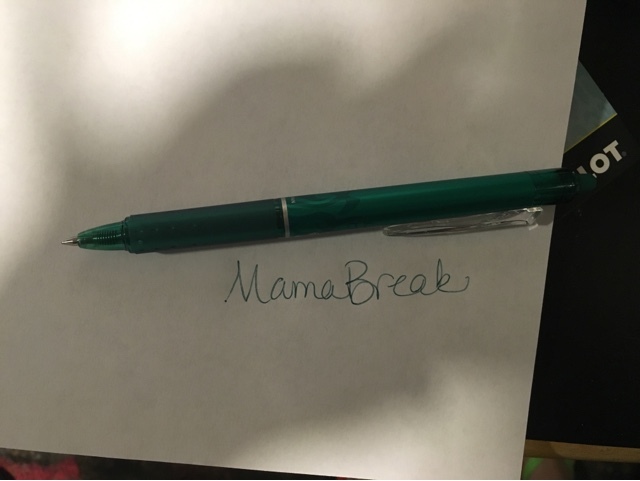 MamaBreak received pens to review and feature on the website. We did not receive any other type of compensation. As always, our experiences and opinions are our own.